No clinic can truly call itself a healthy, welcoming environment without incredible office staff.  Total Health Clinic is lucky to have a wonderful support team that is attentive to our patients’ needs. Contact us today to book your appointment through our awesome support staff. Theresa has been part of the Total Health Clinic team for over 4 years and is one of the first smiling faces you are greeted with when you arrive. She and Kamloops firefighter Mike have called Kamloops home together for 10 years, but often dream of winning the lottery because winter is a nemesis. Theresa is a proud mom to 2 rambunctious young boys, and relies strongly on laughter and coffee to help fuel her days. She considers her tiny humans to be her greatest accomplishment. With amazing friends, a beautiful family and relatively good health (fingers crossed), Theresa considers herself winning at life! Give people high-fives just for getting out of bed. Being a person is hard sometimes. – Kid President. Teah came to Total Health Clinic in 2015 as a Practicum Student, and was not permitted to leave. She brings an element of youthfulness and energy to the team which can brighten anyone’s day. Teah considers herself to be a phone-answering robot, but we know that there’s much more to her than that. Nat joined the Total Health Clinic family in 2016 when she became part of the Administrative Dream Team, and has never looked back! Nat is originally from Argentina and moved to the great white north in 2010. She spent many years travelling and volunteering in different countries with her husband Chris, before settling down in Kamloops. She and Chris have 3 beautiful children, whom Nat thanks for her endearing patience and clever sass.